The year’s end has come around so quickly that it terrifies me. Each year speeds by faster than the previous one and there is no reason to believe that time will slow down anytime soon. Now that I’m in my 40’s, I am questioning what I have achieved so far and if it’s enough. If I’ve learnt anything from writing these posts over the last few years, it’s that we can always do more than we think we can. We can write more + create more + love more + dance more + care more + look after ourselves better + engage with our community more + be better. Every second our life is ticking by… tick tick tick tick tick… it’s equal parts terrifying and equal parts liberating. Every second we have spent so far is gone and we cannot get it back. It doesn’t matter what we have or haven’t done in our past up to now… NOW, from this SECOND onwards it’s UP TO YOU to make the most of your life, your skills, your loved ones and your time. Minutes or hours lying on the couch relaxing counts for something… I’m not saying we have to be at action stations all the time. But finding the right balance and making sure that at the end of each day we have achieved something to be proud of, helped one other person, done one kindness and have done our best to look after ourselves, then it’s a day well spent. 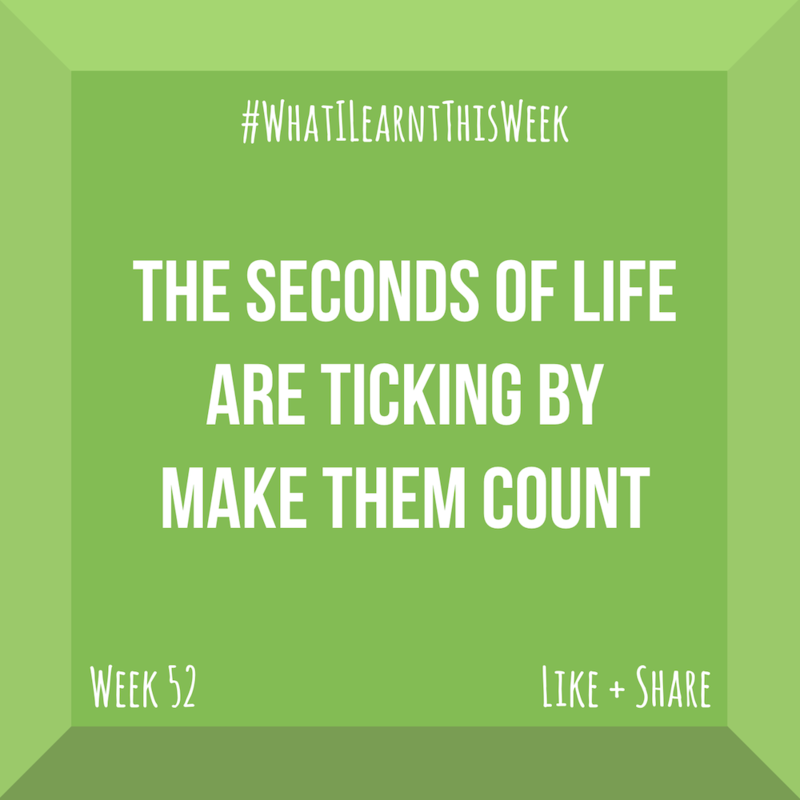 Listen to the ticking clock counting down the rest of your days and don’t see it as a terrifying tick of impending doom… instead choose to see it as counting up to great things, counting up to your best self. Make the seconds count… your time starts NOW!